Alan Anderson, Northwestern’s executive director for neighborhood and community relations, speaks at a District 65 meeting. NU representatives and Evanston Township High School/District 202 board members celebrated their 5-year partnership. Evanston Township High School/District 202 board members and Northwestern representatives celebrated their five-year partnership at a meeting Monday. The board thanked the NU officials for their work facilitating workshops and initiating programs attempting to strengthen the University’s relationship with ETHS. Board members also shared the partnership’s past successes and future goals. NU’s executive director of neighborhood and community relations Alan Anderson said when the partnership began in 2012, the University could not have imagined how it could grow from “just an office with a purple wall” into a strong, mutually beneficial relationship. NU partnership coordinator Kristen Perkins said the partnership’s priorities center around including arts and creativity in science, technology, engineering and math programs and expanding diversity and inclusion in higher education. The partnership currently includes about 100 “collaborative ventures” between the high school and NU, Anderson said. 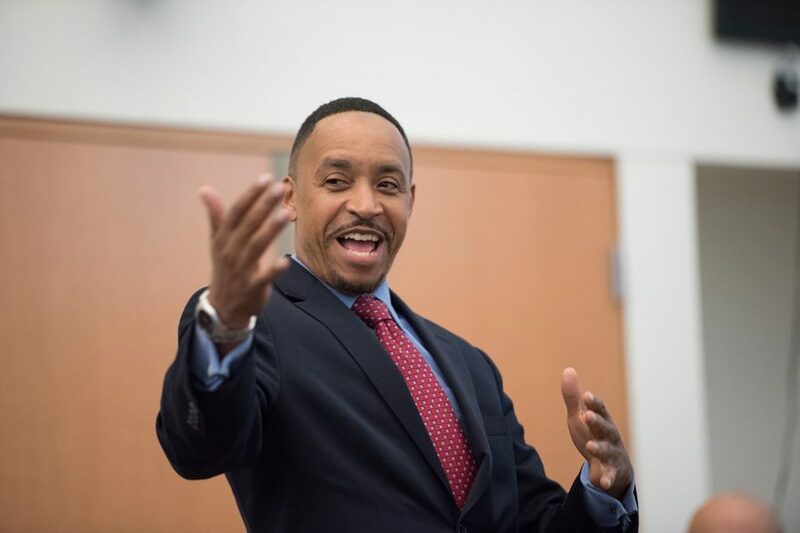 Perkins pointed to examples such as an outreach program facilitated by McCormick Prof. Evan Scott, highlighting black STEM professionals through panels hosted at ETHS. Perkins also talked about the first Women’s Empowerment Conference hosted at NU for ETHS students who identify as female. She said more than 120 students attended the conference. Perkins also said NU facilitated increased access to higher education for minority groups, including scholarships for ETHS students to attend NU college preparation programs in the summer. While the partnership is not intended to be a “pipeline” for students from ETHS to NU, Anderson said a growing number of students from the high school have chosen to attend the University in recent years. Anderson said by making NU attractive to ETHS students, the partnership has increased interactions and discussions between the institutions. Anderson said there are more than 50 ETHS graduates enrolled as freshmen students at NU this year. District 202 superintendent Eric Witherspoon also applauded the partnership, adding that the rate of ETHS alumni enrolling in NU has grown “exponentially” in the last few years. He said he is excited to see what else the partnership will bring in the future. “These folks here have done (a lot) to nurture and grow (the partnership) into something that I think even us — who were here at the very beginning — could have only imagined that it might have turned into,” Witherspoon said. Correction: A previous version of this story incorrectly identified Northwestern’s executive director of neighborhood and community relations Alan Anderson in the caption. The Daily regrets the error.